...as some of you may know, TV's The Bachelor season is in full swing. 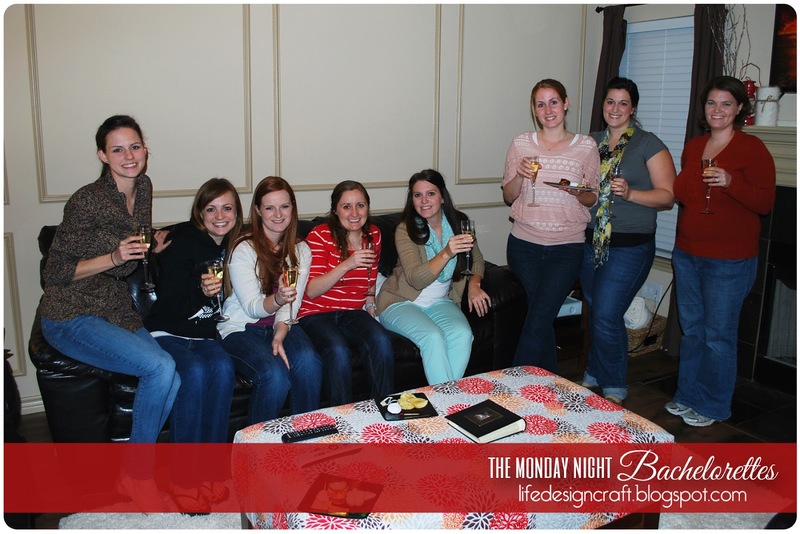 For me, it's a guilty pleasure that I allow myself to indulge in every Monday night with the girls! and I looooove it. 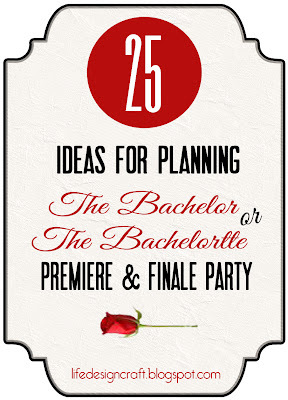 A couple of year's ago, I planned the Bachelor Finale Party (and posted about it HERE...seriously, you gotta click that link and check it out! like, right now.) 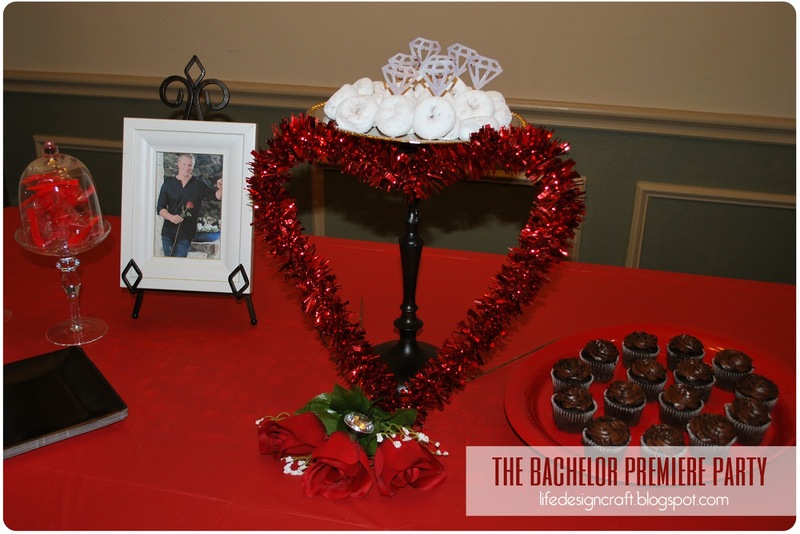 This year, it was all about the Bachelor Premiere Party! 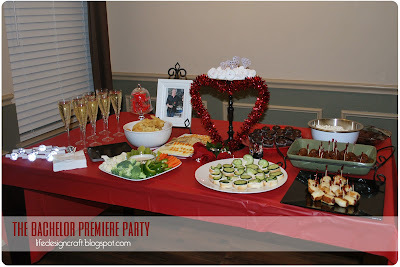 Of course, the most important part of any party is the FOOD! I provided the mock-cocktails (sparkling white grape juice) to wash down the amazing appetizers everyone brought. 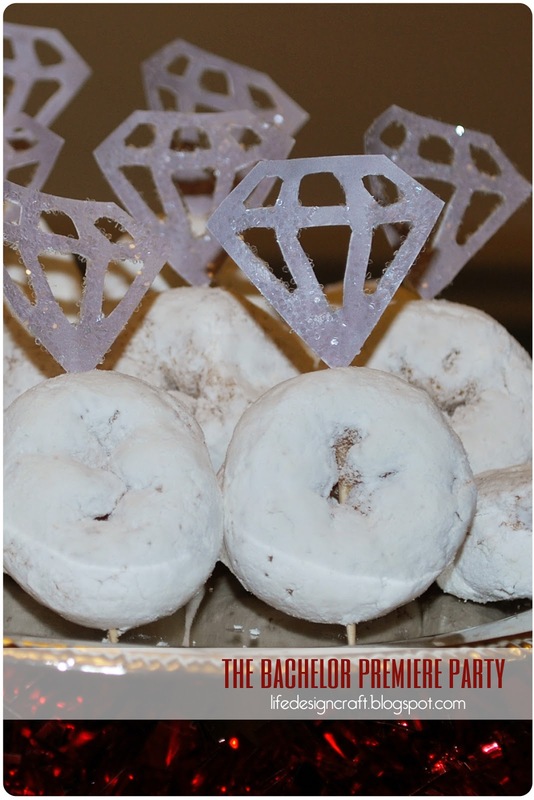 Seriously, these little Diamond Donuts are darling. If I were to do them again, I would have made the diamond red though... they're supposed to be gray (I know, it looks lavender!) The idea for these came from EEADesign on Etsy. There were no games at this party, we just really wanted to focus on Sean and all the girl-drama, you know? 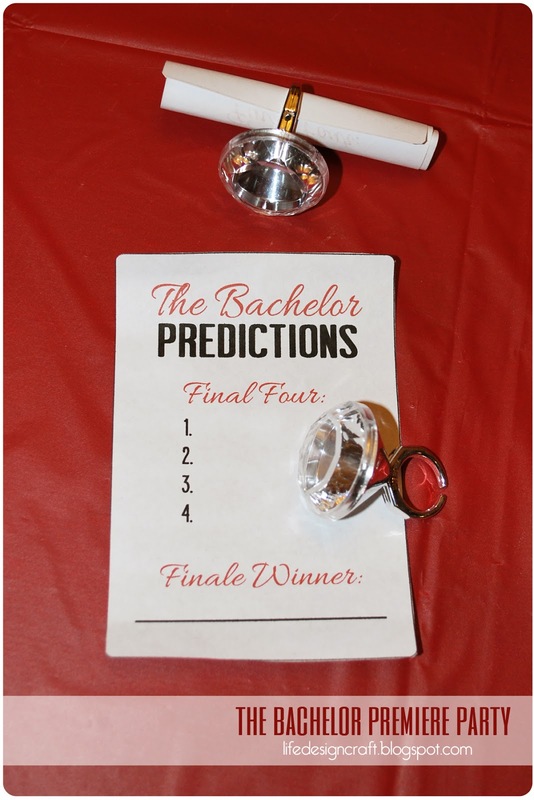 ;) BUT, we did make some predictions for the season after we watched the premiere. Would you believe I put Tierra as my finale winner? What was I thinking?! She's turning into quite the little brat. I'm anxious to see if any of the girls guessed correctly when it comes time for the Finale! 3. Using an exacto knife, cut the "diamonds" out. 4. If desired, spray cut diamonds with light layer of spray glue or brush with modge-podge and sprinkle glitter over. Remove excess. Let dry. 5. Use glue runner or tiny piece of tape to stick the diamond to a toothpick. 6. 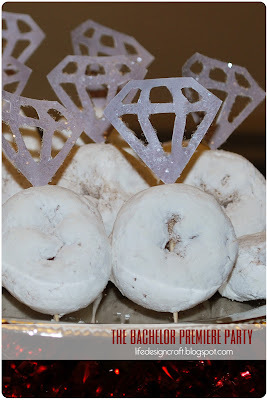 Stick diamond toothpick through each donut. 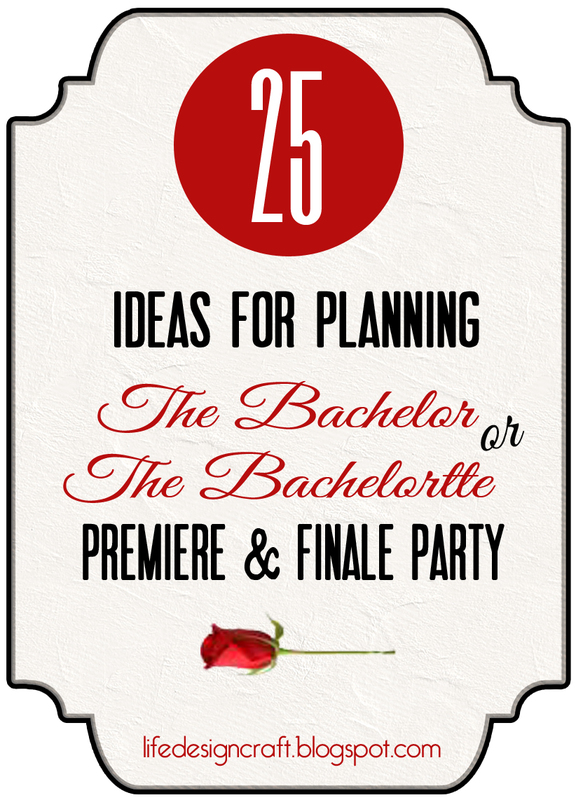 Oh, and in case you're wanting some more ideas for planning your next The Bachelor viewing party, I've compiled a list of 25 different ideas for you! You can come check it out over HERE! Super fun idea!! I love watching this show too, lol! you can check more such tips on love and relationship advice.. There is a chance you are eligible to get a free $300 Walmart Gift Card.